Susan Hiller, Midnight, Baker Street, 1983, c-type photographs on Agfa Lustre paper 3 1⁄2, 3 parts, each 71 x 51 cm. Arts Council Collection, Southbank Centre, London. © Susan Hiller; Courtesy Arts Council Collection, Southbank Centre, London/DACS 2016. 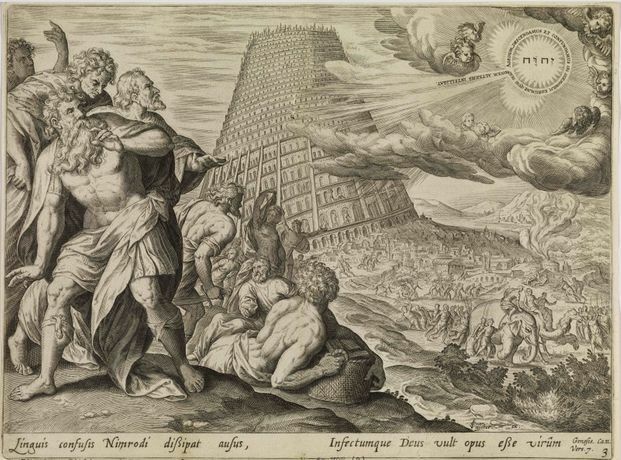 Maarten de Vos, after Jan Snellinck, Confusion of Tongues (the Tower of Babel being struck down), 1674, engraving, 23.1 x 31.1 cm. The Courtauld Gallery. © The Samuel Courtauld Trust, The Courtauld Gallery, London. Imogen Stidworthy, Barrabackslarrabang (still), HD video, colour, 9”13, stereo sound English/Backslang. Arts Council Collection, Southbank Centre, London. © Imogen Stidworthy and Matt’s Gallery, London. 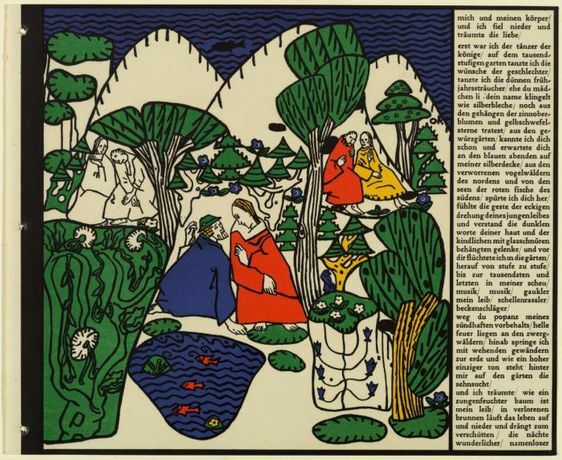 Oskar Kokoschka, Dialogues part of the publication The Dreaming Youths, 1907, lithograph, 28.6 x 24 cm. The Courtauld Gallery. © The Samuel Courtauld Trust, The Courtauld Gallery, London/DACS 2016. 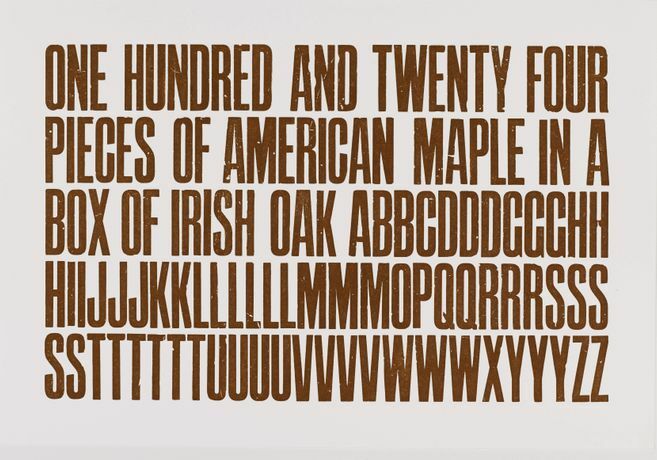 Pavel Büchler, American Irish, 2012, letterpress on Arches 88 paper, 34 x 50 cm. Arts Council Collection, Southbank Centre, London. © Pavel Büchler. This exhibition is curated by the twelve students of the Courtauld Institute’s MA Curating the Art Museum programme. In Utopia (1516), Thomas More imagines an apparently perfect island society in which citizens share a common language and way of life. It is a text riddled with ambiguities, paradoxes and verbal games: ‘utopia’ itself translates as both ‘no-place’ and ‘good-place’. The book has repeatedly frustrated readers' attempts to decipher its message. Confusion of Tongues: Art and the Limits of Language brings into dialogue artists who – in ways similar to More – explore the power of language to complicate and withhold meaning. 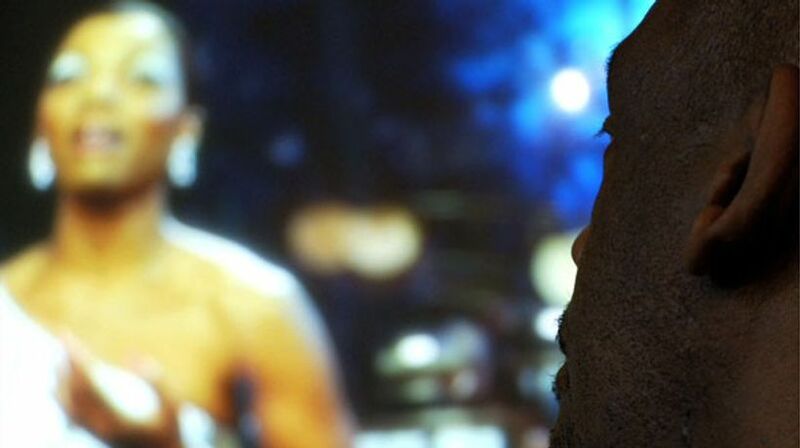 As viewers, we are invited to imagine through and beyond the spoken and written word, to think and re-think, to look and look again. This exhibition highlights the limits of language as a means of communication, yet it also suggests that within misunderstanding, difference and distance there exists a powerful space for creativity and imagination. It unites major works from The Courtauld Gallery’s own collection and the Arts Council Collection. INCLUDING WORKS BY SUSAN HILLER, IMOGEN STIDWORTHY, PAVEL BÜCHLER, MOHINI CHANDRA, DAVID ROBILLIARD, HAMISH FULTON, FIONA BANNER, MAARTEN DE VOS AND OSKAR KOKOSCHKA. Confusion of Tongues: Art and the Limits of Language is part of UTOPIA 2016: A Year of Imagination and Possibility, at Somerset House – a vibrant programme of special events, exhibitions, new commissions and activities celebrating the 500th anniversary of Thomas More’s Utopia.